July 03, 2018 / Valerie Wilson Travel, Inc. Situated alongside Jerusalem's finest shopping and entertainment experience, luxury meets heritage at the Mamilla Hotel. A short walk from the Tower of David and Jaffa Gate, the hotel is at the very epicenter of Jerusalem’s culture and tradition. 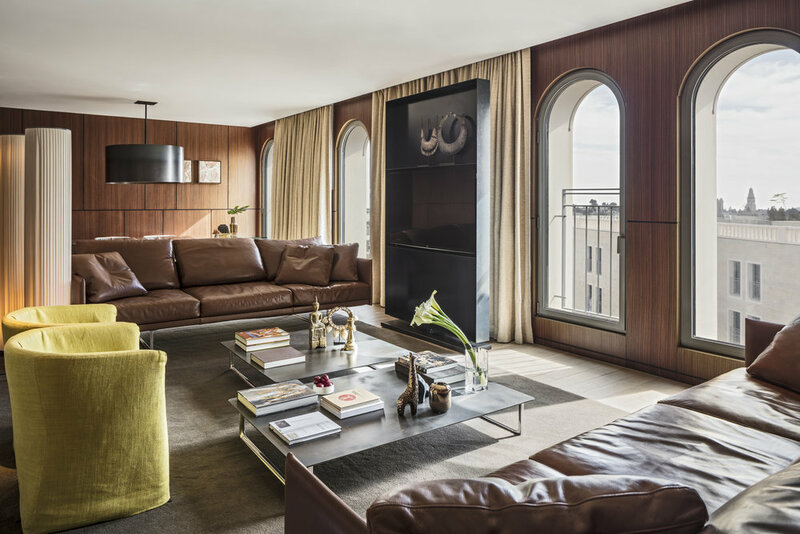 Designed by the Italian elite architect and designer, Piero Lissoni, Mamilla Hotel brings world-class superior lifestyle, service and hospitality experience to Jerusalem and Israel. The hotel features a panoramic rooftop terrace overlooking Jerusalem's Old City walls. Guests of the Mamilla Hotel enjoy exceptional modern accommodations and exclusive restaurants and bars. With inspiring views and effortless style, the hotel offers the perfect sophisticated blend of old and new. Is there a famous name, a particular street or monument that you most identify with? What inspired your style? I am proud to be named after my previous Jerusalem neighborhood, which was established in the late 19th century outside the Old City and Jaffa Gate. The neighborhood was revamped with my gorgeous Mamilla hotel and its beautiful shopping avenue in 2007. What is your biggest indulgence in captivating new guests? Location, location, location! We have exclusive city views, that no others offer, and we are located just minutes away from Western Wall, Tower of David, City Center, and major tourism museums. You can see all of these Old City landmarks from my large Rooftop. Guests love having complimentary access to the Executive Lounge as it is an amazing place to rest and indulge in delicious appetizers throughout the day. We are all about spoiling guests from arrival to departure. Being part The Leading Hotels of the World LHW, our guests trust us because they know what to expect! How would you like to be remembered? We are the epitome of ‘Where yesterday meets tomorrow’ and where rich heritage meets modern. What was your favorite feedback or comment received from past guests? I love when my guests compliment how elegant, comfortable and spacious I am. They can’t get enough of my cozy bed, getting an unforgettable night sleep in my exquisite Italian bed linens, spun from 100% Egyptian cotton. The breathtaking large balcony with gorgeous view of the touristic Jaffa Gate and Old City walls is a shear winner every time. My guests enjoy the fully-equipped kitchen, bedroom, large living room - including a working and dining area - and guest restroom, it’s the ultimate in creating a feeling of home. When my guests return after their complimentary treatment at the Akasha Spa, they are absolutely glowing with happiness and relaxation. Click here to learn more about the Mamilla Hotel and the Valerie Wilson Travel Suite Access™ benefits available to you.